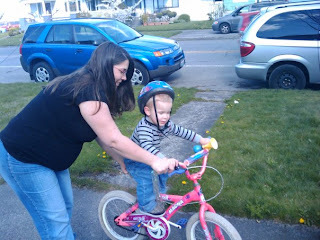 Josh, wearing Sam's much too large helmet, riding on Mika's bike, rides for his very first time. He loved it and didn't want to stop. Unfortunately, Mommy's back didn't hold up for long.